Play teamed up with celebrities including actors and sports figures from the NBA, NFL and MLB; there are US$50 thousand in prizes, among them two cars, two golf carts and cash prizes. 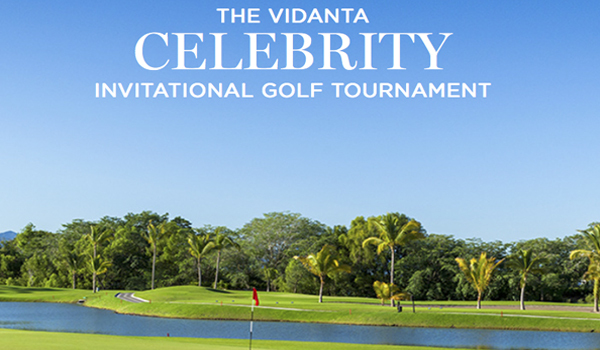 The Vidanta Celebrity Invitational Golf Tournament will take place October 13-15, 2016 in the Riviera Nayarit at the new Greg Norman Golf Course and the revamped Jack Nicklaus Golf Course, both at Vidanta Nuevo Vallarta. There will be US$50,000 in cash and in-kind prizes. The prizes (per team) for net and gross scores are: US$5,000 for first place, US$3,000 for second place and US$1,500 for third place. All Par 3 shots that come closest to the hole will take home US$500. The 10 winners of each of the closest shots will play for another close shot at hole #3 (Greg Norman) for a US$5,000 prize. Registration is US$1,500 for two and includes breakfast and lunch daily on Friday and Saturday, welcome kit gifts, access to the welcome cocktail and awards dinner plus a spa certificate. For reservations call (045) 322 176 14 58.